WASHINGTON — Shippers traditionally hire trucking companies to move loads within 500 miles but place some of their longhaul freight on the railroads, however port authorities are beginning to successfully use intermodal service to divert truck traffic from congested container terminals. About 85% of truckload freight moves less than 500 miles whereas 95% of intermodal freight moves more than 500 miles, according to data from railcar pool provider TTX Co., research firm FTR, the Intermodal Association of North America and the American Association of Railroads. Intermodal pricing tends to be most competitive to truckload once the haul is greater than 750 miles, according to the data. Some port authorities and consultants believe the international intermodal supply chain could greatly benefit from shorthaul intermodal trips to inland terminals, easing congestion at popular container terminals. These advocates believe there also are economic advantages for the beneficial cargo owners, or BCOs, and trucking companies, while noting that the stumbling block is selling the idea to the Class I railroads. CSX Corp. and Norfolk Southern Corp., the two major railroads on the East Coast, offer intermodal service into Atlanta from terminals in Savannah, Ga., and Charleston, S.C. In South Carolina, Norfolk Southern operates between the Port of Charleston and Inland Port Greer, about 212 miles one way. The South Carolina Ports Authority opened the Greer terminal in 2013 after BMW committed to transporting engines and transmissions thorough the facility. Michael Hoffman, South Carolina Ports Authority intermodal operations general manager, said that Michelin North America, Adidas and Amazon.com Inc. also have begun to routinely use the Greer terminal. Although trucking executives were worried the inland terminal would put them out of business, Hoffman said they also have benefited because the average turn time is only 13 minutes. The South Carolina Ports Authority and CSX also will begin operating an inland terminal in Dillon in April weekdays from 6 a.m. to 6 p.m. with a storage capacity of 7,360 containers. Discount hardware retailer Harbor Freight Tools will anchor Inland Port Dillon with a new 3-million-square-foot distribution center to serve the East Coast. The project costs about $40 million, but CSX only spent $2.6 million on track improvements and $5 million on other upgrades. Hoffman said since the port authority (not the railroad) bears the brunt of the construction and operational costs, and the facilities are built within existing service corridors, CSX and Norfolk Southern agreed to provide the shorthaul service. At the Port of Savannah, intermodal trains run to Cordele, Ga., about 185 miles away, and Birmingham, Ala., about 400 miles away. Kia Motors America imports auto parts to Cordele and farmers drop off exports to avoid sending a truck to Savannah, according to the Georgia Ports Authority. 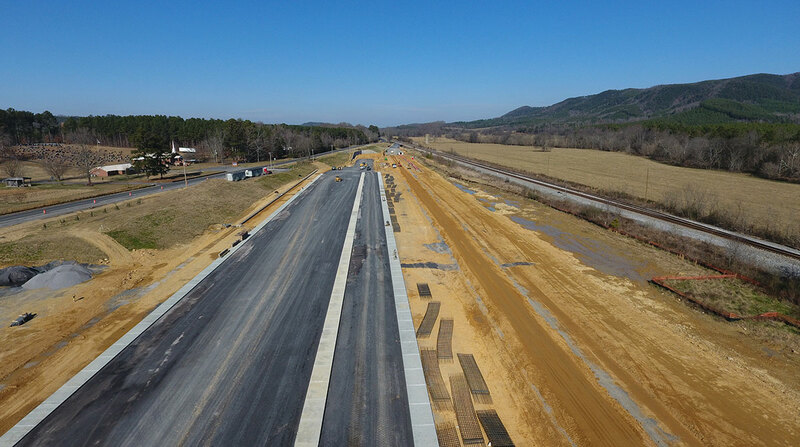 In the fall, the GPA will open the Appalachian Regional Port in Chatsworth, Ga., with an annual capacity of 50,000 containers. “Because it is located in an industrial belt — including the production and export of carpet and flooring, automobiles and tires — the Appalachian Regional Port will make those commodities more competitive in the global market, while reducing emissions,” GPA Executive Director Griff Lynch said. Each container moved through the new inland port will offset 355 truck miles on the highways, he said. Like South Carolina, truck drivers also could increase productivity with shorter turn times and overall drayage miles. The Port of Virginia offers weekly service from Norfolk, Va., to the Virginia Inland Port in Front Royal and the Richmond Marine Terminal. In 2017, traffic into the Richmond Marine Terminal surged 22% to 23,994 containers, but the total at the Virginia Inland Port declined 5.3% to 35,738 containers.